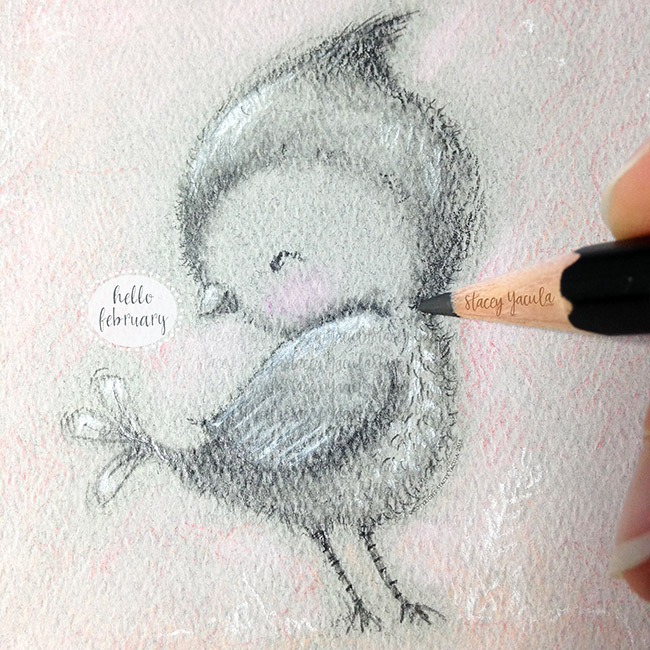 stacey yacula studio: hello february! looking for feed in the snow. so, a little sketch today on coloured paper. thank you so much Kathy H! She is quite bashful too!